Ed Brown barrels are machined from T-416 stainless steel bar stock, just like a benchrest rifle barrel. 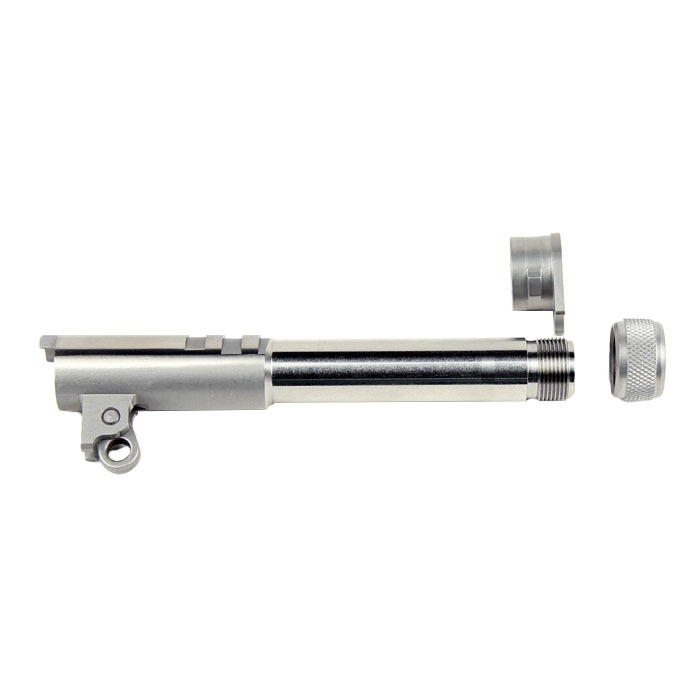 Prior to final rifling, the barrels are stress-relieved and heat-treated to ensure no deficiencies are present. Deep-cut, broached rifling provides superior accuracy with all types of bullets. Barrel dimensions are cut to drop-in tolerances, however due to varying pistol dimensions, installation in some pistols may require very minor material removal which most people can easily do themselves. Includes the bushing, link, and link pin. Designed for 4.25" Comm Model. Suppressor ready. 0.578 x 28 RH threads. Thread protector included.